Standard maintenance: Tackle repairs you’ve been putting off on systems including air conditioning, change HVAC filters, leaky faucets, septic maintenance, siding repair. Performing a basic maintenance checklist now will help you avoid surprises and delays when the real estate market heats up this spring. Clear out the clutter: A perfect indoor task for winter. Starting this will feel great! Pick one room or closet, crank up some tunes and knock it out. You’ll enjoy the benefit of organized closets and clutter-free spaces now. Pruning and yard planning: We get some nice winter days here in The ATL so trim back shrubs before things explode in spring. 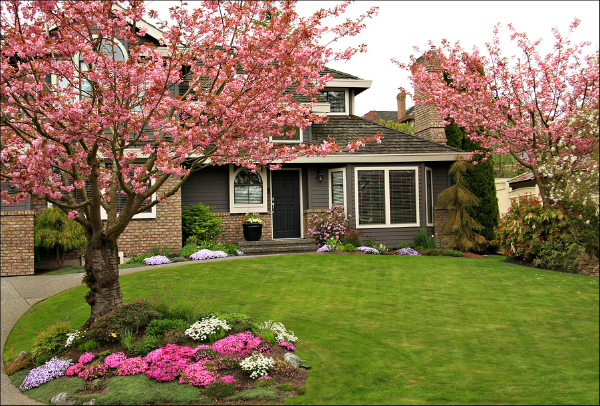 You can do some yard planning now to keep it low maintenance with curb appeal. Consider your kitchen: The kitchen is the most important room to most homebuyers. Re-painting cabinets or replacing countertops is a decision that takes time to complete. Consulting with a Realtor before you decide where to focus your budget is your best bet. A kitchen update may be worth considering months before you list for sale. Neutralize: Think minimalist and repaint walls in a neutral color. Buyers need to be able to visualize. The “flip” stars of HGTV know what they’re talking about and this rule really doesn’t change. Painting and going neutral also means start the process of removing personal items, knick-knacks, sports memorabilia, family photos, etc. It may be difficult to pack some of your treasures away for a while but it’s a neccessary step. Starting now will make it easier to paint, clean and keep your house show-ready. Get professional advice: A good Realtor will be happy to consult with you months before you’re ready to sell. Take the offer and get advice where it’s best to focus your energy, your budget, and how to stage your home in preparation to get top dollar come spring.